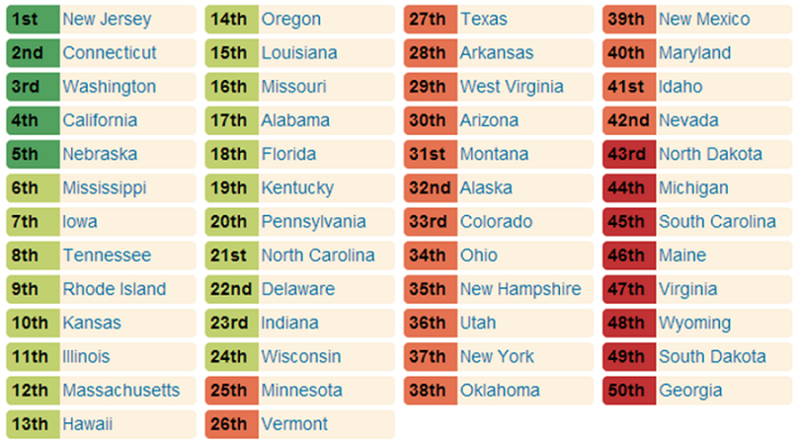 In an unprecedented study of state government corruption conducted by The Center for Public Integrity, Georgia ranked lowest among all fifty states on the study’s corruption index. 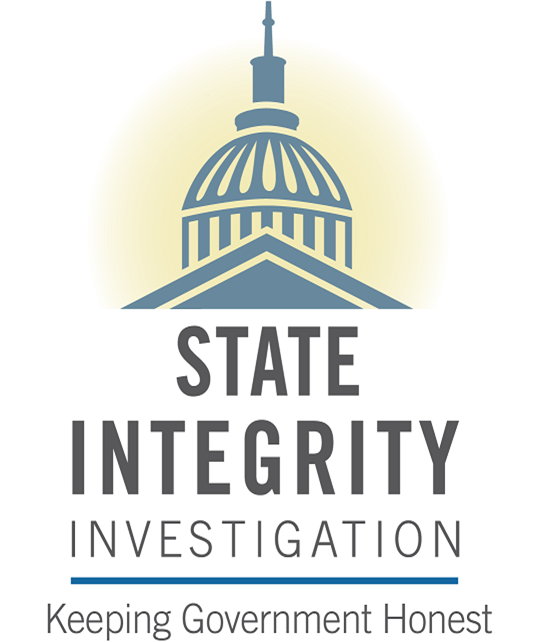 The watchdog’s heralded state integrity investigation rendered a scathing critique of all governmental agencies in Georgia citing rampant corruption and graft flourishing at every level. Regarding the mechanisms for judicial accountability and transparency in Georgia, no state possessed a profile more vacuous and repugnant. Notwithstanding Georgia’s 1,800 judges, the state’s judicial oversight committee employs just one part-time attorney making it the only state in the union with more than 1,000 judges to employ less than two full-time members. A copy of this letter is sent to Emilia Walker, Esq. the lawyer representing the Defendant(s) in accordance with Rule 4.1. Prohibition on Ex Parte Communications) and Lee W. O. Shafer, Esq. representing myself as Plaintiff. This letter is in response to the FEB 10, 2014 hearing and pursuant to your ORDER thereafter. Your ORDER states, “However, the Court is also concerned with the bad precedent that would be set by holding that a party or attorney could satisfy the requirements set out by Uniform Superior Court Rule 4.6 by simply chaining his or her address on a pleading without notifying the Court or the Clerk that the new address should be used for service of official Court communications”. I attached a copy of Rule 4. On July 3, 2013 I sent a Certified Return Receipt Letter to the FINCHER DENMARK & WILLIAMS, LLC (attached). They signed the Return Mail Receipt. My change of address was noted. Per this rule I was only required to notify the opposing attorney. In any matter pending in a superior court, promptly upon agreeing to represent any client, the new attorney shall notify the appropriate calendar clerk in writing (and, in criminal actions, the district attorney; and, in civil actions the opposing attorney(s)) of the fact of such representation, the name of the client, the name and number of the action, the attorneys firm name, office address and telephone number. Each such attorney shall notify the calendar clerk (and, in criminal actions, the district attorney; and, in civil actions, the opposing attorney(s) immediately upon any change of representation, name, address or telephone number. Judge Tusan, you have sufficient evidence in my pro se MOTION TO VACATE a certified copy of the State of Georgia, Attorney General Consent Order and the State Election Board Transcript of the February 21, 2013 State Election Board Hearing wherein the Defendant’s admits they violated Georgia Election Law 21-2-585, 21-2-386(a)2) a Misdemeanor of a Public Official. Your Court is aware that this matter in under investigation by Fulton County District Attorney Public Integrity Unit for consideration to prosecute. The Atlanta Daily Report article (Cost of Fighting City Hall), WSB TV (College Park Election Stolen) and the AJC publically disclose the misconduct of the Defendants. At the February 10, 2014 Hearing the Chief Investigator for the State Election Board was present to provide testimony that his office had recommended I file the original law suit against the Defendants as well as the investigative notes. You refused to allow his testimony. Judge Wendy Shoob dismissed the election lawsuit for a procedural error and refused to have a hearing for the election law violated, sufficient to cast the election results in doubt. 14 months later under the scrutiny of the state Election Board Investigation, the Defendant admitted they broke the law (complained of in my lawsuit) and threw themselves at the mercy of the SEB see attached SEB transcripts. This matter was closed after the Georgia Supreme Court affirmed Judge Shoob Order. After the Defendants admitted they had broken the law and entered into the Consent Order, I felt I should be compensated for my expenses and sent a NOTICE with new address, attached. They disregard the NOTICE and thereafter your Court opened a 14 month closed, dormant judgment without any Motion by the Defendant. The Defendants had a duty to make you aware of my NOTICE on July 3, 2013. The Superior Court Administrator informed me that all mail returned to the Court from insufficient address is sent back that division of the court that mailed it. Thirdly, your staff conveniently emailed the Defendant’s a copy of the Judgment Hearing and mailed my copy to a closed post office box even though my email address is unchanged. The Defendants fee of $60,000.00 is not reasonable and customary; I will simply ask that the excessive charges be reviewed by the State Bar Fee and Arbitration Board. The lawyer’s bill sealed in your Court from the February 10, 2014 Hearing is different from the bill the City had provided under the Open Records Request. The attorney fee asks for in the original Complaint before Judge Shoob was $28,000.00 and wasn’t granted in Judge Shoob Final Order. In closing, Attorney Lee W. O Shafer agreed to represent me at the February 10, 2014 for a nominal fee because I could not afford to pay her the customary rate. Her professionalism lead her to represent me and she stated I had been wronged in your Judgment Order (to open a closed case and enter a default judgment without due NOTICE and in lieu of the criminal evidence admitted to by the Defendant). Attorney Shafer is a highly respected election attorney. You refused her to reintroduce evidence or put a credible wittiness of the State, to support the Motion to Vacate. You had an Emergency Phone Hearing on February 9, 2014 allowing the Defendant Lakeith Reeves from testifying under oath after being duly summons, that they violated the law in the 2011Election, sufficient to cast doubt on the results. You allowed the Defendant’s lawyer Emilia Walker, Esq to call my lawsuit frivolous throughout the Feb 210 Hearing and mislead to Court repeatedly under oath. Mr. Chris Harvey is the State Chief Election Investigator. Reporter Greg Land for the Daily Report featured a comprehensive article after review the pleading in the case; this article further provided your Court with facts of the Defendant wrongdoing. You said to the record on February 14, 2014, “You didn’t want to know what the Defendant had done”. College Park is a unique City with less than 5% of our population of 14,000 people vote. 60% of our citizens are African American, transient and poor. Our average median income is among the lowest in the state. Our transient community represents 70% of the criminal cases in Fulton court. The unemployment rate of our community is over 25%. Per capita College Park City Government is among the wealthiest in the State, receiving 200 million dollars in revenue, due to revenue from the Atlanta Airport. I felt as an elected official with my education, background and life experience, I could create initiatives that can improve my family and the lives of all our citizens and overall create a safer more coherent south Fulton County. Our election process is systematically controlled and I am the only candidate on record, our who ever challenged the election process. I’m the fifth candidate to unsuccessfully challenge the 30 year incumbent. The Georgia Election Code prohibits the Court in the Division of the complainant from residing over any election law suit, but Fulton County Court Administrator fail to assign a judge outside of Fulton County. This unfair ORDER is a burden for me and my family. Shortly after the Attorney General Consent I felt vindicated and spoke with several lawyers about representing me for recovering my expense from the Defendants. Judge Tusan I voted for you when you ran for Judge and I am proud of your accomplishments. I ask and pray you look at this case in its totality and vacate the unfair Judgment Order of $60,000.00 against me and my family and Order the Defendant to pay my legal fees and expense for misleading the Courts. Under no circumstance can a litigant profit in a civil matter from the admission of a criminal act. Georgia Election Law 21-2-585, 21-2-386(a)2) a Misdemeanor of a Public Official was committed by the Defendant by their own admission.